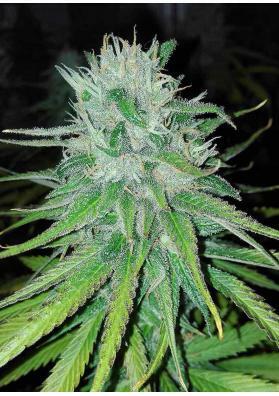 Get regular marijuana seeds of fantastic quality. In Experiencia Natural we put at your disposal a selection of seed banks that continue producing their strains in the original format. These regular cannabis seeds that produce males or females have not suffer any kind of genetic manipulation. Hence, the result is the guarantee of greater uniformitiy and reliability of the original properties of each strain. Regular marijuana seeds produce the purest specimens, just as nature has created them. Their properties make them the perfect seeds to develop mothers or to make crossings with other strains getting incredible outcomes. Skimmers and expert growers appreciate only regular marijuana seeds, discarding for their own purposes feminized and autoflowering seeds. Are you looking for that quality that only the best seed banks can offer you? If so, do not wai any longer and visit Experiencia Natural. Here you will find such emblematic banks from Holland like Sensi Seeds or DNA Genetics, who year after year gain more prestige and reputation between the great connoisseurs of Cannabis. Get your cheap regular marijuana seeds with the highest quality available on the market.